Newseum lobby 5 ft x 10 ft; Commissioned by the Freedom Forum Pennsylvania Ave. Washington DC. Johannes Gutenberg, a 15th-century German goldsmith, developed a new system of printing that revolutionized the spread of information through the mass production of books, newspapers and other printed materials. Before this breakthrough, most printing had been done by pressing hand-carved inked wood blocks against paper, a slow and laborious process. 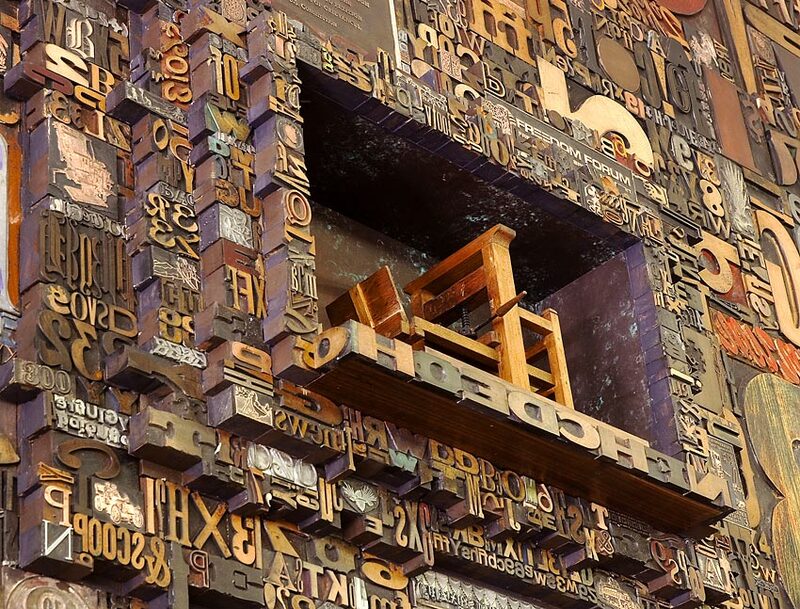 Gutenberg invented a process of casting individual pieces of metal type by pouring molten metal into molds, creating reusable letters that could be set into a frame for printing. He developed specialized oil-based inks and designed a new kind of printing press based on a wine press. The letterpress method of printing dominated the industry for hundreds of years until the advent of photographic typesetting and, later, electronic typesetting. As newspapers converted to modern methods of typesetting, the individual pieces of metal and woodblock type that had been used for centuries were rendered obsolete. 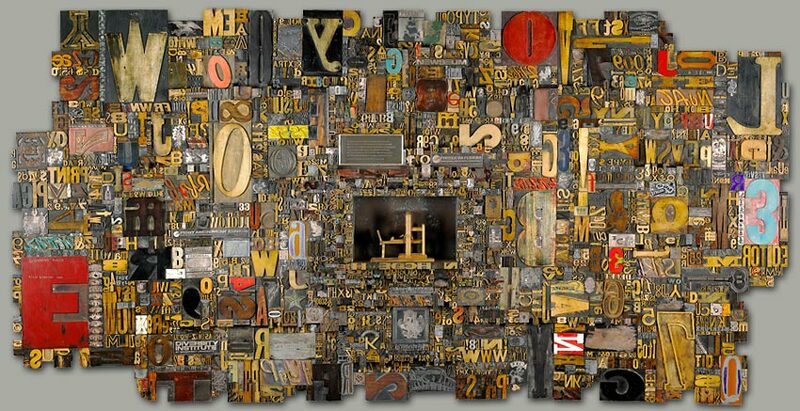 Artist Lloyd G. Schermer, a former newspaper publisher, has rescued these and other materials used in letterpress printing to create one-of-a-kind works of art. 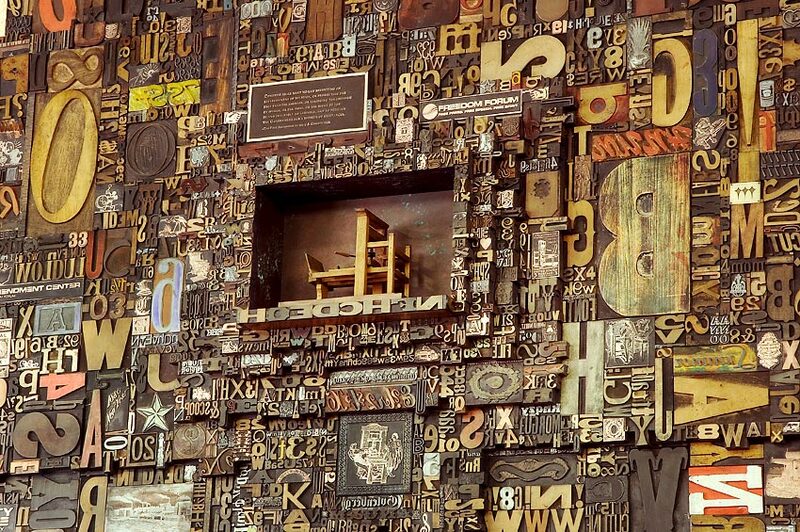 This sculpture features woodblock letters, some of which were hand-carved, engravings and metal type cast in molds in the fashion of those created by Gutenberg.